Both NRA and NSSF seem to be trying to quash rumors about the government preparing for civil unrest (the charitable rumor) or building Obama’s army for him to seize permanent power after the election (the less charitable rumor). 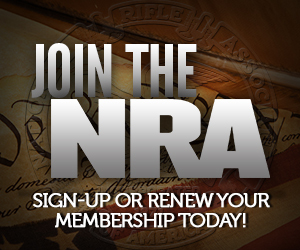 NRA’s fact sheet on ammo purchases can be found here, which is also echoed in NSSF’s release. The summary is that the ammo purchases are not that unusual, and aren’t ridiculous if you actually want your agents to do live fire training, which after seeing the NYPD shoot up midtown, I think we can all agree is important. The message here would seem to be that we want our people preparing for an election, not for a civil war. I am preparing for an ejection and an election. I think the guest speaker at the RNC is going to be Ron Paul. If it was standard ball Ammo i might be able to belive it but when you are buying hallow point ammo that is an other thing in and of its self. Yon dont do train that much with ammo. you also have to look at the agencies that are buying it. Not saying it’s for the obama army power play but the goverment know the financial cliff is coming and coming fast and they know that it is a given that there will be majorbunrest in every major city when it happens. Errr, if you look at the current prices they aren’t as far apart as they used to be; I strongly suspect the great rises in base metal prices is making the manufacturing cost difference between FMJ and JHP much less of a factor. 1. The price of ammo is going up 50% due to a new tax increase. 2. The “AK-47” bullet is going to be banned because it is inherently more dangerous than other bullets. 3. Two days after the election Obama is sending in the troops to confiscate the guns. Just so everyone is forewarned. Who has these AK-47 bullets? The 7.62×39 I use seems to perform about like .30/30. Who has these AK-47 bullets? Why, traitors and insurrectionists, of course. I’m hoping Thursday’s speaker will be Darrel Issa, hammering on Fast and Furious.